Child Batarina Costume By: Fun World for the 2015 Costume season. Become a nocturnal ballet dancer when you wear this cute and unique Child Batarina Costume. 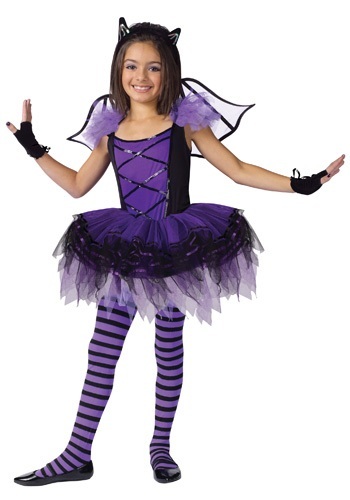 This cute black and purple costume is fun for little girls to wear because of the flouncy tutu. This cute costume that also comes with the glovelettes and headband is great for Halloween and for recitals!